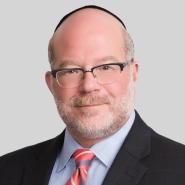 Jay Levine, a partner in Porter Wright's Litigation Department in the firm's Washington, D.C. office, was interviewed for the article "Wyndham ruling boosts FTC's authority to investigate cyber security breaches" posted April 28, 2014 at BusinessInsurance.com. The article details why companies likely should expect more FTC investigations of their data security as a result of this ruling. ... "However, Jay L. Levine, a Washington-based partner at Porter Wright Morris & Arthur LLP, said he doubts other courts would rule differently than Judge Salas.